With BeMob it is possible to set built-in flow as a campaign destination. This article is all about how this option works. your campaign destination is an offer. 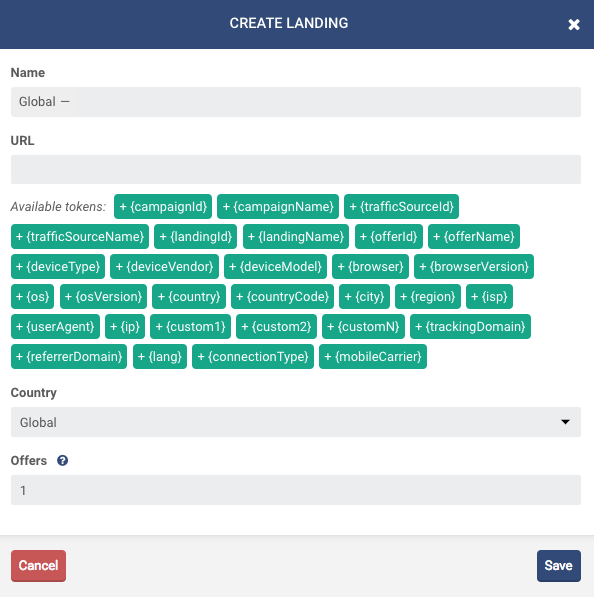 After filling in all the required fields mark built-in flow as a campaign destination. The window with built-in flow settings will appear. By default the landing page option is active. NOTE: If you don’t use landing pages in the campaign, then it is required to disable this option for redirecting traffic correctly. To disable landings in a campaign use the landing toggle. After switching this option off direct linking will be available. If it is required to use landings in campaign, you should add them at this point. Click Add landing button. You can add a landing created beforehand or create a landing in the window with campaign settings. When selecting Add landing it is required to select a landing page from drop-down list. When you select Add new landing option, the new window with landing page settings will appear. 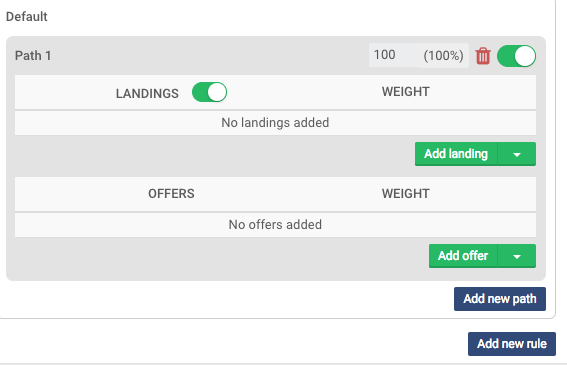 NOTE: The amount of offers should be set correctly in landing settings. If there is a single offer placement (1 CTA button) and several rotated, then the amount of offers should “1”. The rotated offers should be added in flow settings. Now you can move to adding offers. NOTE: A flow should always include at least one offer. The number of offers added should match the number in landing page settings. To select an offer click Add offer button. You can add an offer created beforehand or create an offer in the window with campaign settings. When creating a rule, you should select conditions to redirect traffic from the drop-down list including custom parameters passed from the traffic source (Custom 1-10). Use Is – Is not option when selecting conditions. For instance, the condition selected is Brand and model – Apple iPhone 6. All the corresponding traffic will be redirected to the relevant offer set within this rule. When condition selected is not Brand and model – Apple iPhone 6 , then this offer will catch all other brands and models with exception of Apple iPhone 6. The configuration of built-in flow is finished – don’t forget to save the settings. The built-in flow destination was introduced to replace offer as a campaign destination. If you have campaigns with campaign destination set to the offer, this option will still be availeble for you. We hope that this option will help you to speed up the campaign setting process! If you have questions, we are always glad to answer – contact us.